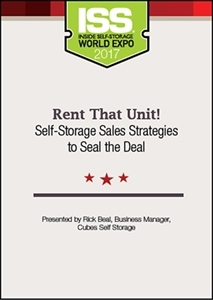 Managers are told consistently to “rent more units,” but achieving sales goals and converting prospects to tenants is difficult without a plan in place. This entertaining and informative session will cover indispensable sales techniques managers can implement immediately. Build instant rapport with customers by learning how to ask the right questions and overcome objections without sounding like a used-car salesman.